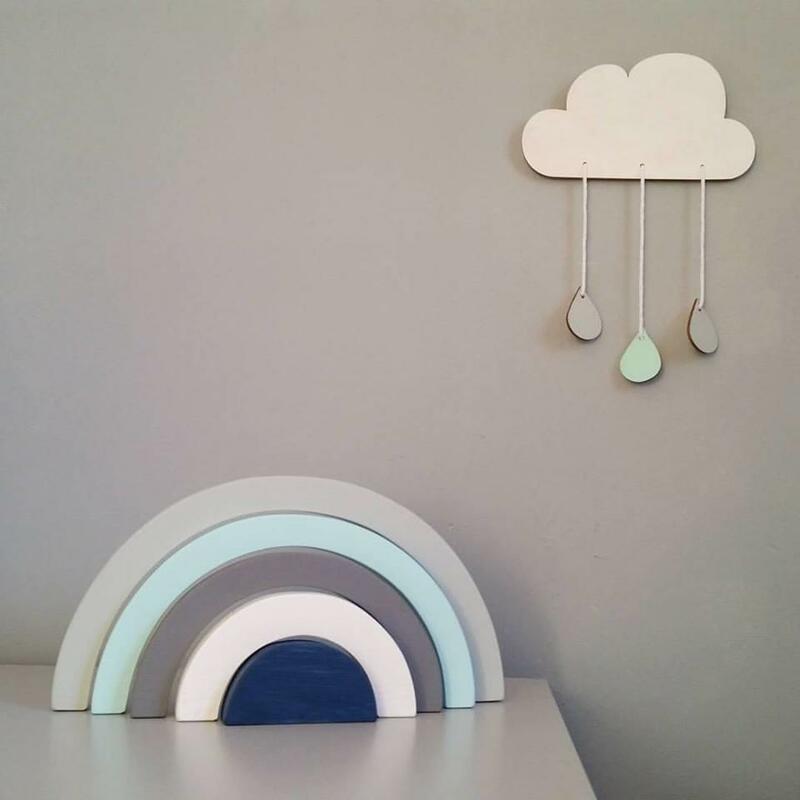 Large rainbow stacking wooden decoration length is 30cm, height is 15cm. We really enjoy making these simple bright wooden toys for other children to create whatever their endless imagination desires. Each design is hand drawn by us they are all cut, sanded, painted and coated with beeswax, which makes each peice/set really unique and no two peices are exact but we still use the same design, paint etc. Colours: light grey, blue, dark grey, white, dark blue. They are made of 100% beech wood. Please note that colour and texture can slightly vary to this on the picture. No two pieces of wood are the same and each and every item is painted by hand, that's what makes our products unique. There might be little imperfections which in our opinion adds to the charm. Current turnround is up to 7 working days until despatch.